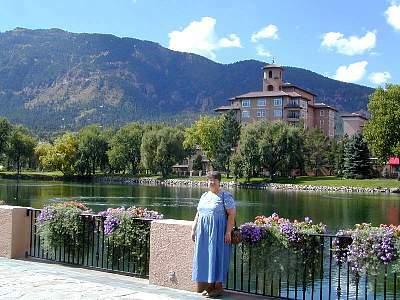 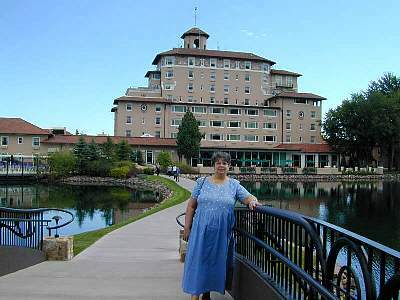 2000/9/28 - Lorraine at the Broadmoor Hotel in Colorado Springs. 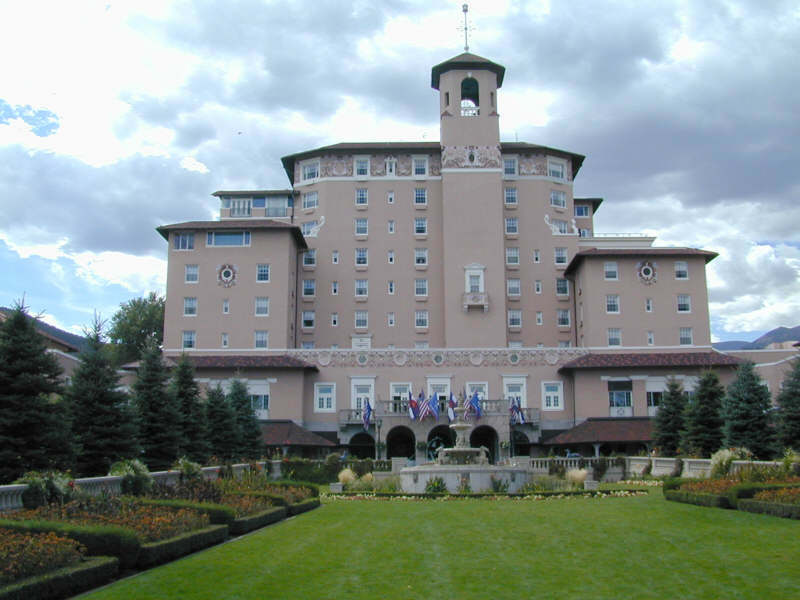 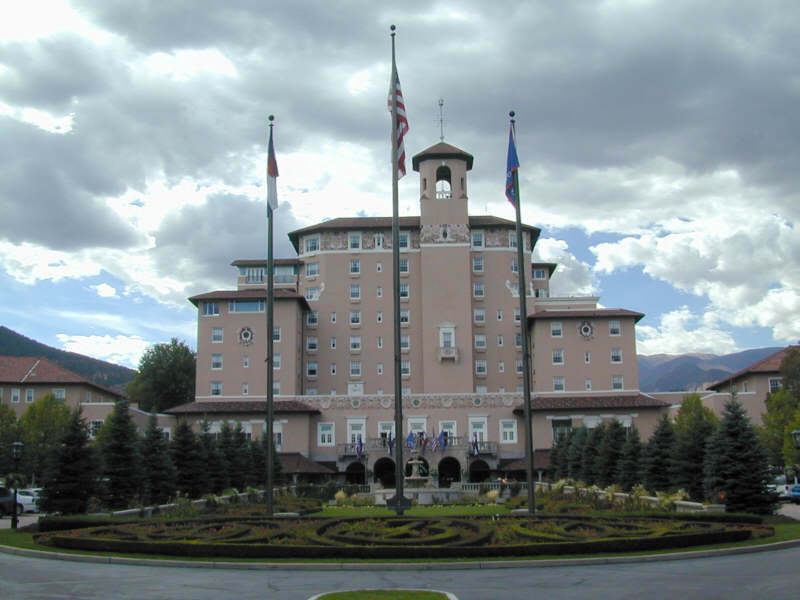 2000/9/28 -The Broadmoor Hotel in Colorado Springs. 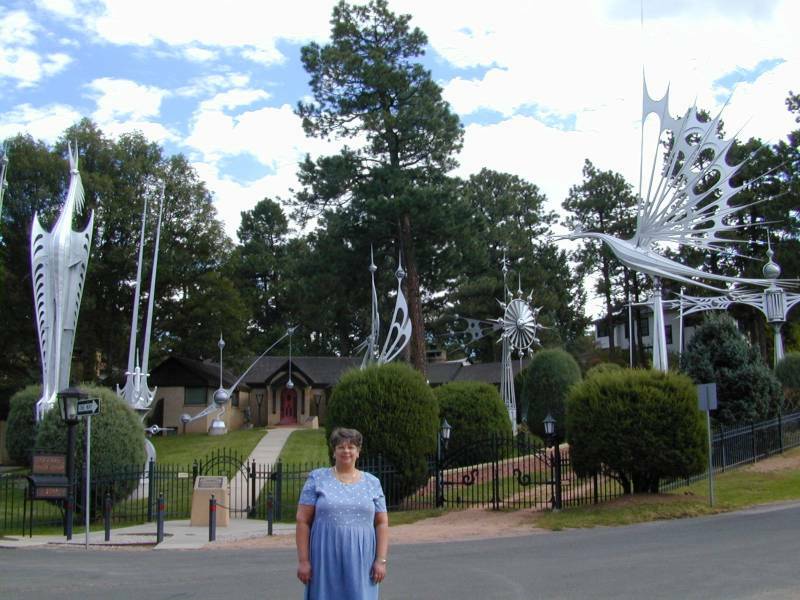 2000/9/28 - Lorraine outside the Starr Kempf Sculpture Garden and Gallery in Colorado Springs. 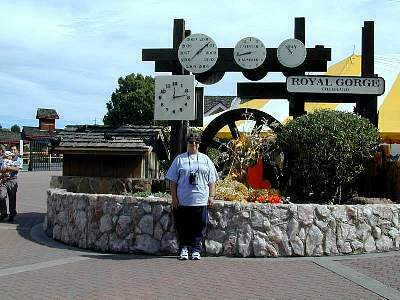 2000/9/29 - Lorraine in front of the water clock at Royal Gorge Park. 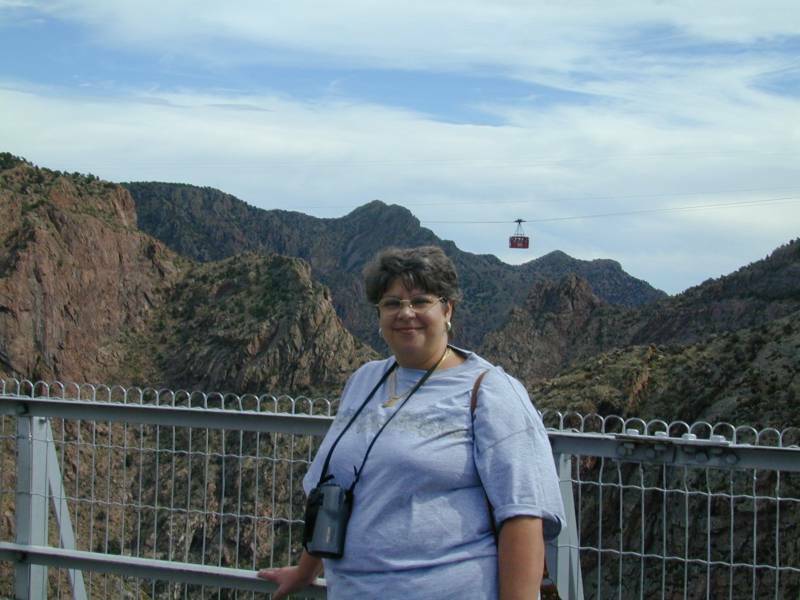 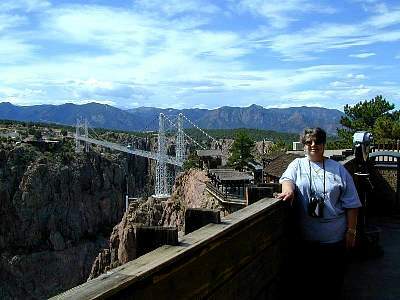 2000/9/29 - Lorraine at the Royal Gorge Park Visitor Center, with the Royal gorge Bridge in the background. 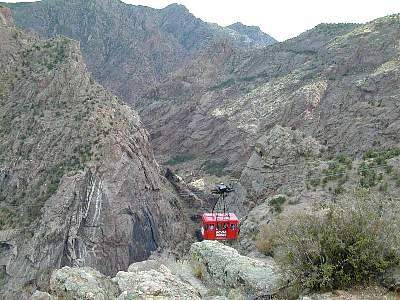 2000/9/29 - The aerial tram at Royal Gorge Park. 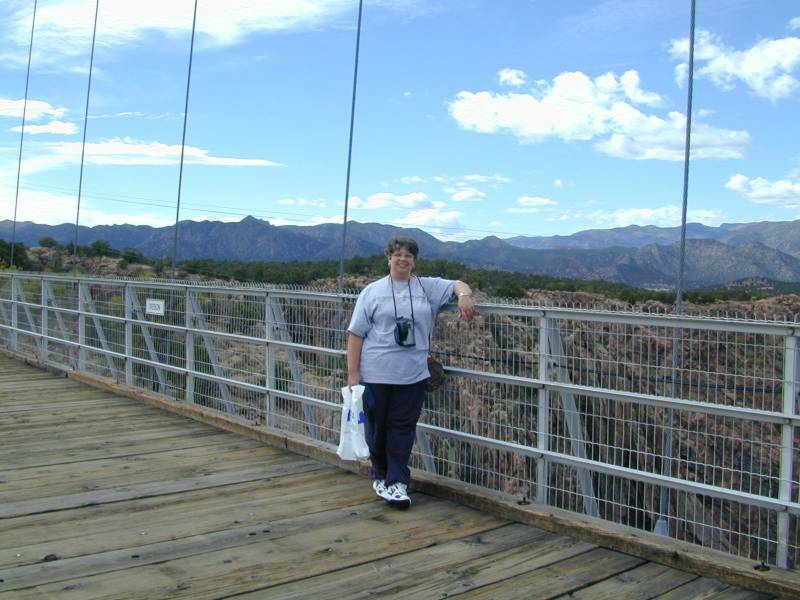 2000/9/29 - Lorraine standing on the bridge 1,100 feet above the Arkansas River at Royal Gorge Park. 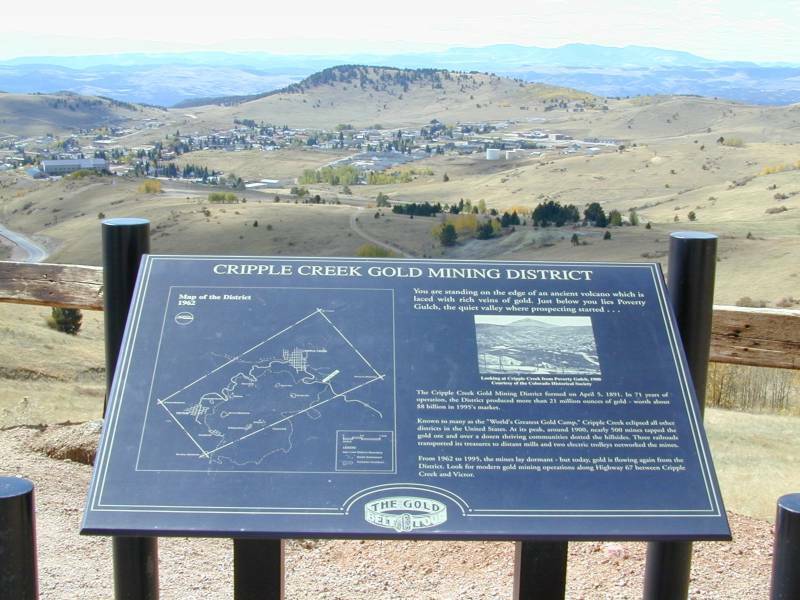 2000/9/30 - A view overlooking the town of Cripple Creek, Colorado. 2000/9/30 - The Molloe Kathleen Gold Mine just outside the town of Cripple Creek, Colorado. 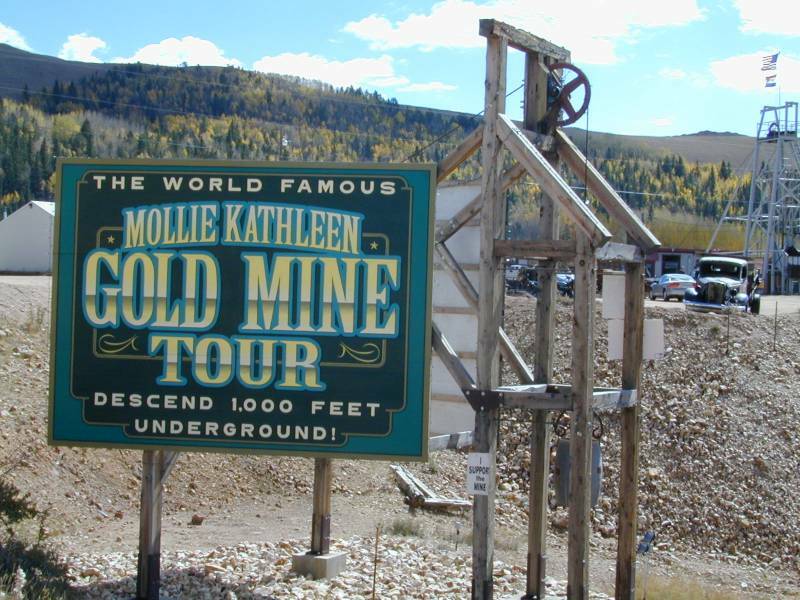 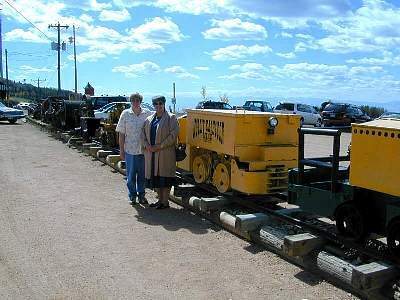 2000/9/30 - Mom & Lorraine at the Mollie Kathleen Gold Mine just outside the town of Cripple Creek, Colorado. 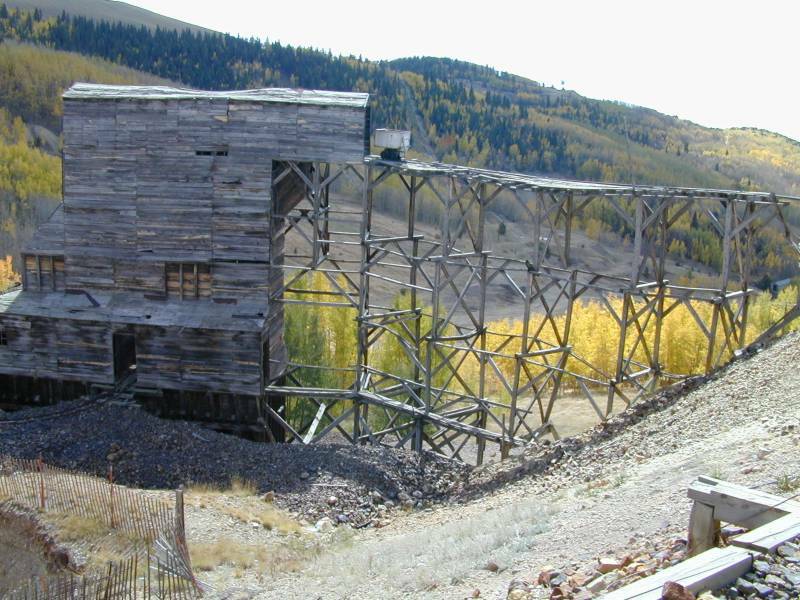 2000/9/30 - An old ore chute at the Mollie Kathleen Gold Mine just outside the town of Cripple Creek, Colorado. 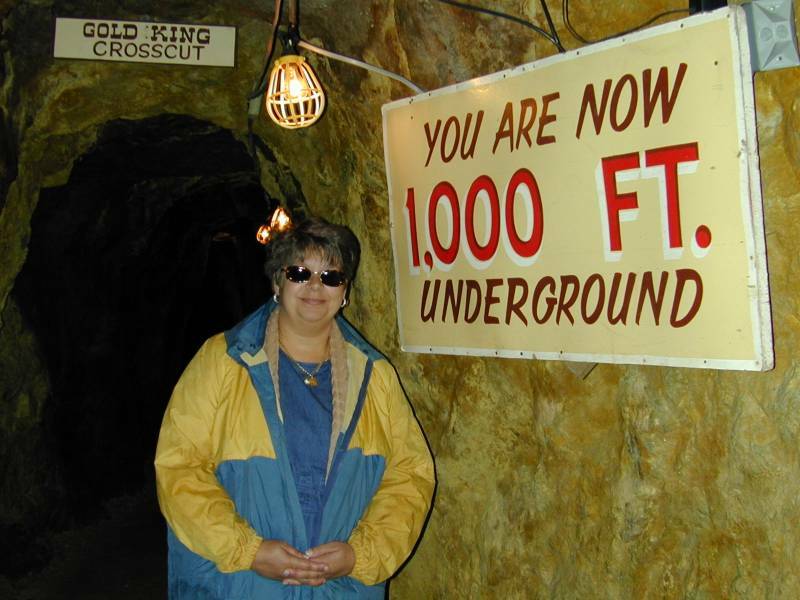 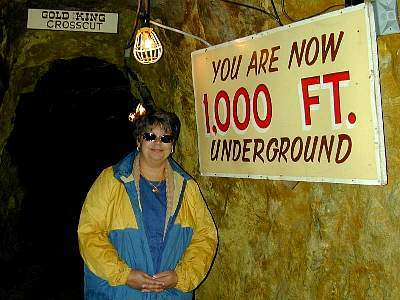 2000/9/30 - Lorraine 1,000 feet under ground on the tour at the Mollie Kathleen Gold Mine. 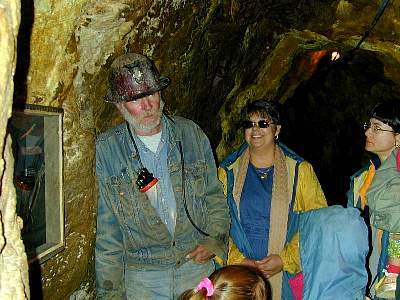 2000/9/30 - The tour guide and Lorraine 1,000 feet under ground on the tour at the Mollie Kathleen Gold Mine.